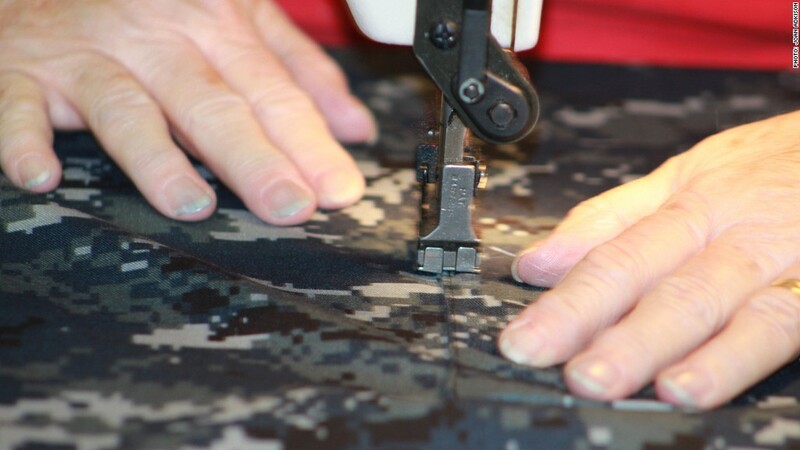 American Apparel Inc., which manufactures Army uniforms in Alabama, has laid off 150 workers as a result of going head-to-head with Unicor for government contracts. Just hearing the word Unicor is enough to make Kurt Wilson see red. Unicor is a government-run enterprise that employs over 13,000 inmates -- at wages as low as 23 cents an hour -- to make goods for the Pentagon and other federal agencies. With some exceptions, Unicor gets first dibs on federal contracts over private companies as long as its bid is comparable in price, quantity and delivery. In other words: If Unicor wants a contract, it gets it. And that makes Wilson and other small business owners angry. Wilson has been competing with Unicor for 20 years. He's an executive at American Apparel Inc., an Alabama company that makes military uniforms. (It is not affiliated with the international retailer of the same name.) He has gone head-to-head with Unicor on just about every product his company makes -- and said he has laid off 150 people over the years as a result. "We pay employees $9 on average," Wilson said. "They get full medical insurance, 401(k) plans and paid vacation. Yet we're competing against a federal program that doesn't pay any of that." Unicor, also known as Federal Prison Industries, is part of the U.S. Bureau of Prisons. It has been preparing inmates for jobs after they get out since 1934. The program has 83 factories and makes goods in seven industries -- apparel being the biggest ticket. Unicor made over $900 million in revenue last year and faces more heat from businesses and lawmakers as the economy takes a toll on small manufacturers. Related: Can the U.S. handle a manufacturing comeback? In Olive Hill, Ky., apparel factory Ashland Sales and Service, Co. has been making windbreakers for the Air Force for 14 years, says Michael Mansh, who runs the factory. Last February, when he learned that Unicor was eyeing the contract, he reached out to Kentucky Sen. Mitch McConnell. McConnell, one of the top Republicans on Capitol Hill, issued a public statement urging Unicor to back off. The next day, it did. With 100 employees, Mansh said Ashland is Olive Hill's largest employer. And he said losing the Air Force contract would have shut the factory down. "That's 100 people buying groceries. We use trucking companies in the town, buy parts and light bulbs there every day," he said. "That's all lost when prisons take away contracts." Unicor is not required to pay its workers minimum wage and instead pays inmates 23 cents to $1.15 an hour. It doesn't have health insurance costs. It also doesn't shell out federal, state or local taxes. Advocates for private sector companies are loudly campaigning for reform of Unicor's preferential status. Unemployment has been over 8% for nearly four years "and there's a federal program tanking our industry," said Kurt Courtney, director of government relations at the American Apparel and Footwear Association. "The only way for workers to get jobs back is to go to prison. There's got to be a better way to do this." In 2008, Congress amended the law to limit Unicor's advantage for certain kinds of Pentagon contracts. Now a bill in the House supported by 28 lawmakers from both parties would go further and require Unicor to compete across the board. The bill also provides alternative ways for training inmates, who would instead work for charities, religious organizations, local governments or school districts. "We know that in the recovery, many new jobs are coming out of small businesses," said Rep. Bill Huizenga, a Michigan Republican who introduced the bill. "It makes no sense to strangle them in the cradle." Huizenga expects a similar bill to be introduced in the Senate in the coming months. Unicor doesn't agree with the criticism. According to spokeswoman Julie Rozier, inmates working for Unicor are 24% less likely to reoffend and 14% more likely to be employed long-term upon release. She also noted that over 40% of Unicor's supplies were purchased from small businesses in 2011. She cited the unique costs associated with operating within a prison. For example, Unicor employs more supervisors than a private sector firm would, and security lockdowns disrupt production. Businesses aren't buying it. John Palatiello, president of the Business Coalition for Fair Competition, said his organization of businesses and taxpayer groups is sympathetic to Unicor's goals. But they shouldn't be accomplished at the expense of small businesses. "Who is being punished here?" he said. "The inmates who have committed a crime against society, or the employees of private companies who play by the rules?"